The Tiny PXE Server has to run in Win7 or 8 OS since sanboot does not work for me when the server is running in XP OS. Now I can direct boot the Client PC diskless with remote Win7-1 VHD as AoE disk on Tiny PXE Server. PXE booting of Win7 VHD as AoE disk on Tiny PXE Server is working great. 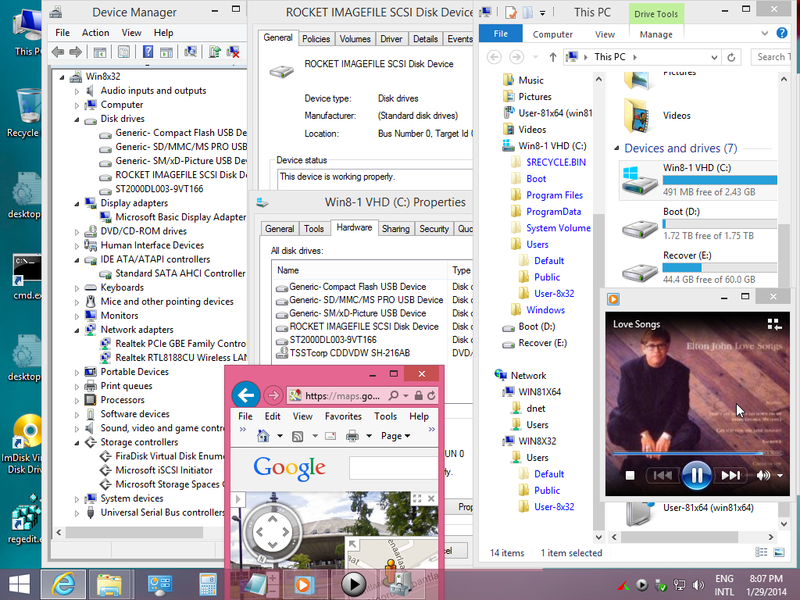 and use it to mount Windows XP/7/8 ISO on Network share and then Install Windows on Client PC. So in this case it is not needed to load PE or VHD into RAMDISK, which would take more time. PXE booting of Win8 VHD as AoE disk does NOT work for me. Booting starts but does not continue (endless running of orb). Has anyone got it working for Win8 VHD and if possible can give help to solve the issue ? Now need to clone the disk and boot diskless via iPXE/AOE. Firewall disabled at both ends. AOE service set to start=0 and startoverride=0. I changed the configuration completely and now somehow I have got it working. Tried to make everything as open as possible. 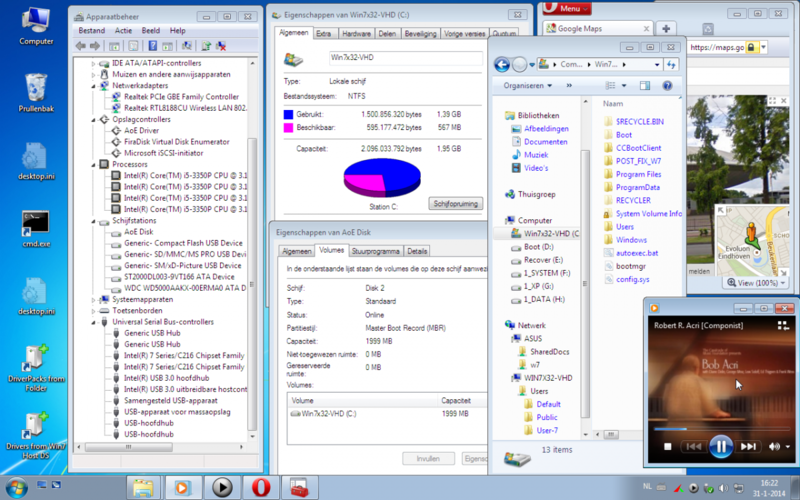 Then I disabled Firewall and shared pxesrv162 with all permissions. So I was sure that this Win8-1.vhd can boot on AMD machine that will be used now as client PC. Now that I have a working configuration it will be possible to find out what parameters did block the PXE booting previously. Then PXE booting of Win8-1.vhd is still working, so these measures were unneeded. 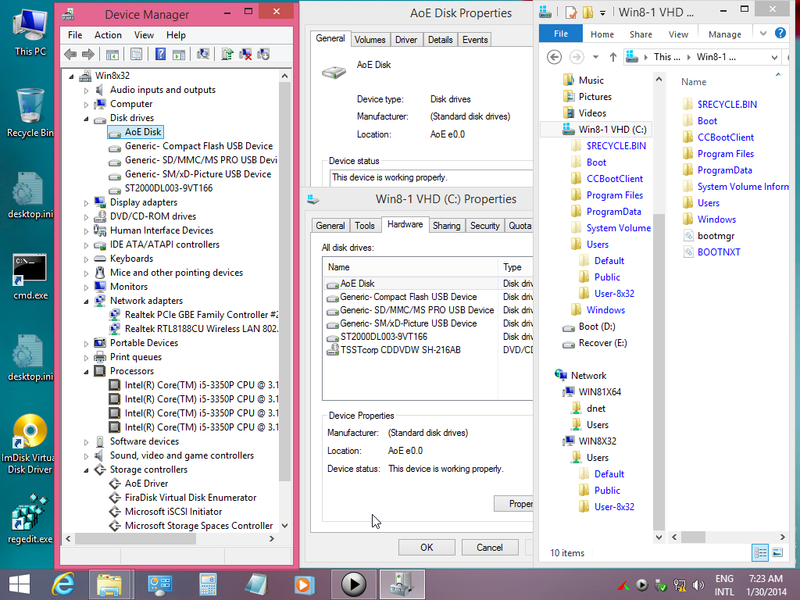 In my Windows 8.1, the aoe driver is mounted fine and I can see the AOE disk controller. On the command line, aoe scan works fine but not aoe mount e0.0. Could you try this last command? Could you also point to the driver you used : there are several versions out there. AoE means "ATA over Ethernet". It doesn't care about any IP firewalling, as it functions at a lower layer of the OSI model. WinAoE originally comes from here. It will certainly help me for PXE booting of XP VHD as AoE disk on Tiny PXE Server. Until now XP VHD refuses to boot as AoE disk but probably I need to study the subject. Based on my experience, regarding AOE boot on san, it is not as easy as iScsi. I failed so far both on win7 and win8. I know the image works fine as I can restore back on the physical drive and it will boot ok.
PXE booting of Win7 and Win8 VHD as AoE works for me, but not in all occasions. It means I got it working for one Server + Client combination, but not for every combination. Until now PXE booting of XP VHD as AoE failed for me for the configuration where 7 and 8 VHD are working. I guess it will be possible but requires more study and experiments. The method I used is comparable to what you describes. Why are the recent posts of CCBoot removed from this forum ? If you are going to boot the cloned AoE drive, you must remove the original drive from the system. Also, you must boot the same machine. 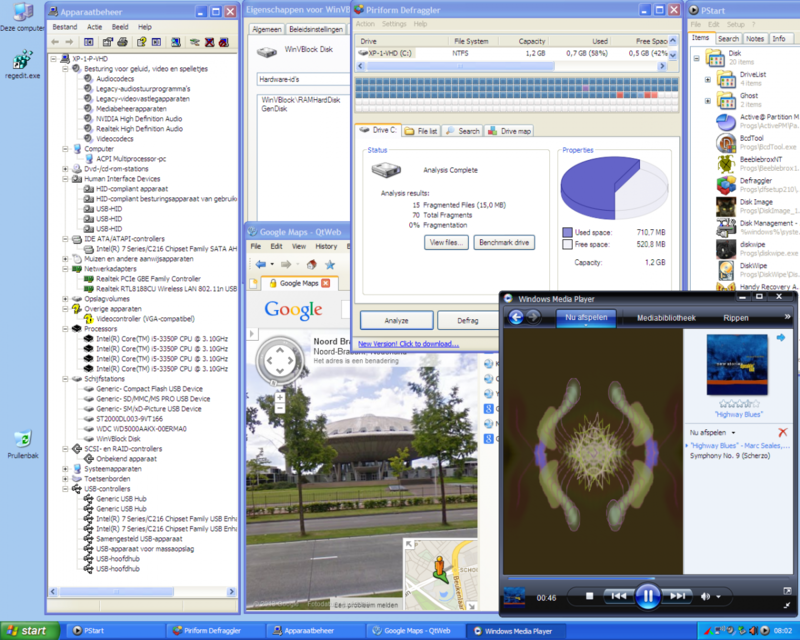 Also, WinAoE's home-page says it works with Microsoft Windows <= Vista. Also, you should make sure that you can attach an AoE SAN (but not the cloned image!) 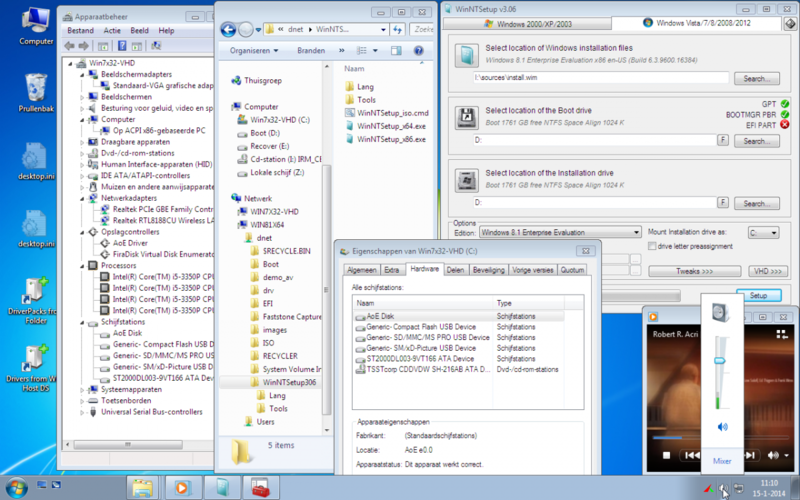 from the OS on the HDD before cloning it (the OS) to an image file/other disk. Also, you must use whichever network connection for booting as you use for that test. 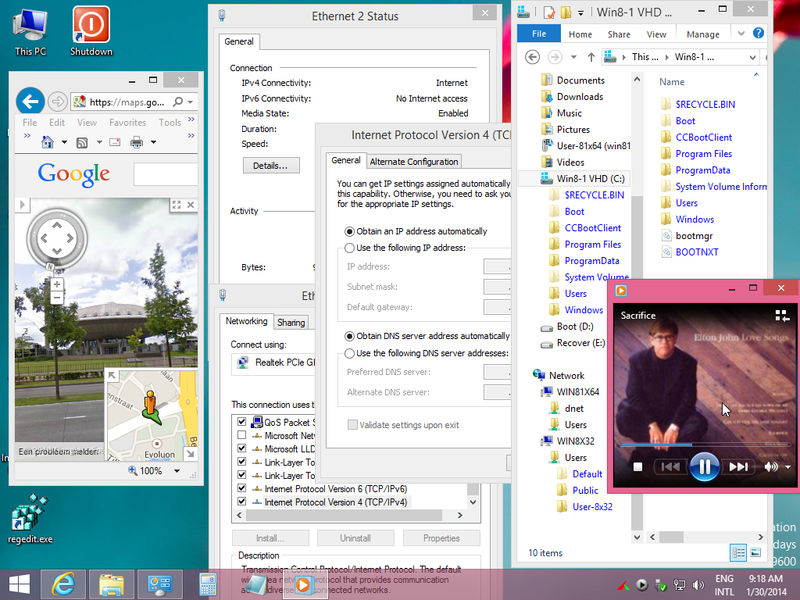 Did all that except that the O.S is Windows 7. I have the feeling that the issue could be around disk signature although I would then expect a 0x7b BSOD and atapi.sys is not even loaded which I would expect to be the one triggering a 0x7b BSOD. For now, windows is stuck on loading AOE32.SYS driver. It start loading (windows boot loader) but I feel the issue is around switching from real mode (ipxe+aoe initiator) where the disk is seen and windows kernel mode (where windows seems to wait for a disk). Drivers don't trigger a STOP 0x0000007B, but the lack of a driver certainly can. The driver loading order that you observe should be precisely the same as the order you'd see if the OS was on a local HDD. If they're any different, then the cloning process didn't work out quite right, I'd suggest. When you see the list of drivers go by, none of them are being invoked. It is only after they've all been loaded that the boot-program hands control to the kernel, who then invokes the loaded drivers. That is, almost always the last driver you see loaded is a red herring; the only reason why loading A, B, C would stall at B would be if there was a filesystem or disk I/O problem that stalled it. Are you cloning the disk to an image file while running the OS that you are cloning? How are you cloning the disk? 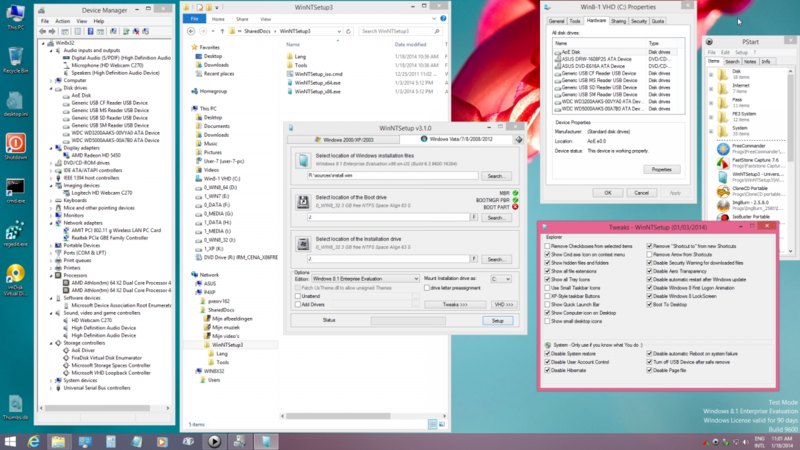 I am booting a winpe and from them I am dumping the physical disk to a raw image. I can mount fine the image fine in imdisk, I can boot it fine in qemu. Boot loader goes fine until it loads aoe32. Could it be that aoe32 crashes silently? Note that the laptop stops responding at that time : caps lock key no longer responds. EDIT: I suppose if there was a problem with the PE image, that could possibly hang the OS loader before finishing its list. Having the PE "unsigned" could possible present such an issue, but I'd expect the OS loader to inform the user about that case. 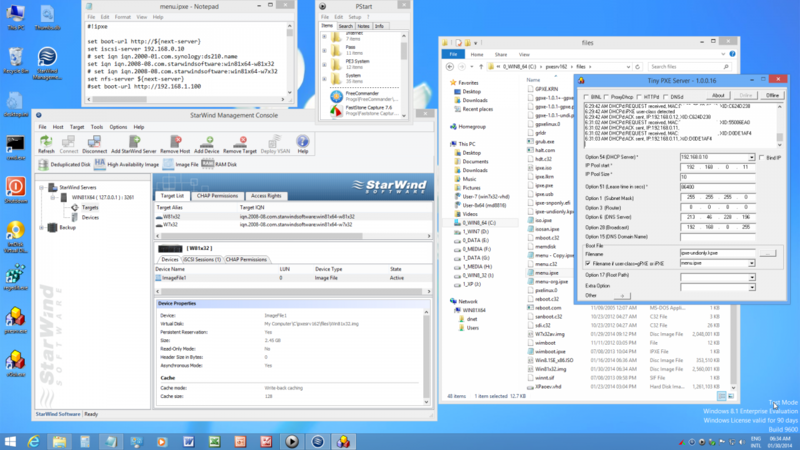 My guess is that WinAoE will be last in your load-order, so all drivers are being loaded. It'd be fun to be wrong about that; LoadOrd lets you copy the list to the clipboard. I installed AoE driver and then reboot and Install of CCBoot Client and reboot. Then start of Tiny PXE Server. I solved the issue by changing for the Win81x32.img the IPv4 Adapter settings into Automatic IP address and then PXE reboot. 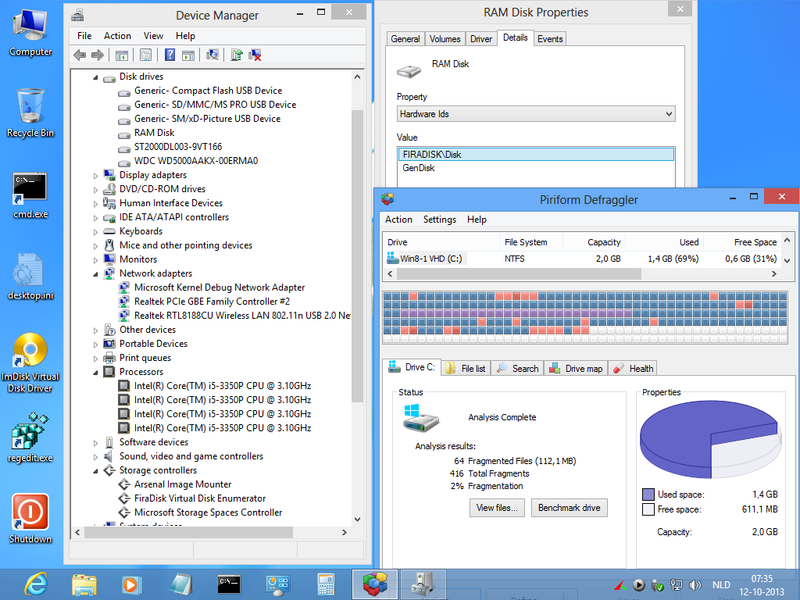 Intel i5 Client machine PXE booting with Windows 7 x32 2GB VHD as AoE Disk in Tiny PXE Server running in XP OS. Everything working OK - Network and Internet OK after changing fixed IP address into automatic IP and then PXE reboot. but Internet is not working - So here the OS of Tiny PXE Server is also quite important. In Tiny PXE Server I did not use yet the ProxyDhcp checkbox. I'll redo my tests with AOE with installing CCBoot although I am puzzled as CCBoot should not make a difference. Any specific actions your performed in ccboot client? 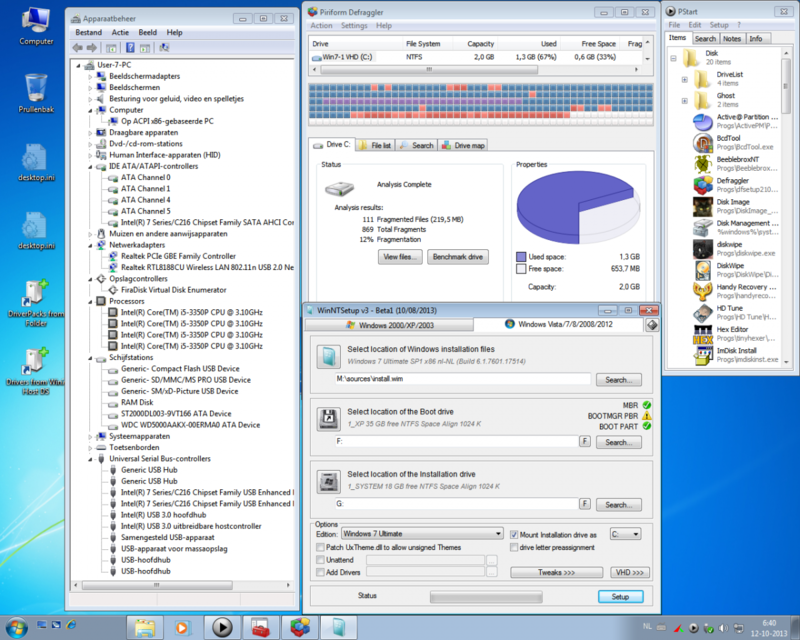 ISCSI has always worked 100% at first shot for me on most (if not all) windows versions since XP. And since Win7, one can install straight to an ISCSI target. Oki, it works : win7+aoe+ccboot. I am not sure 100% yet that the ccboot did the trick. I also notice that the ccboot client installs the iscsi drivers and the MS MPIO drivers along with its ownn CCBoot drivers. I deinstalled the CCBoot client in my AOE image. The AOE image no longer boots and remains stucks on the windows orb right after loading drivers AOE32.SYS, just like my previous tests with CCBoot client. So there is definitely something that does the CCBoot client which is needed to boot with AOE. And to go further, I believe something is missing on AOE side as it does not work by itself. So I unchecked the two Checkboxes in CCBootclient. iSCSI does work for me in case of Win7 img only when the CCBoot client is installed as described above. This last result I think is strange since Win7 has iSCSI support.